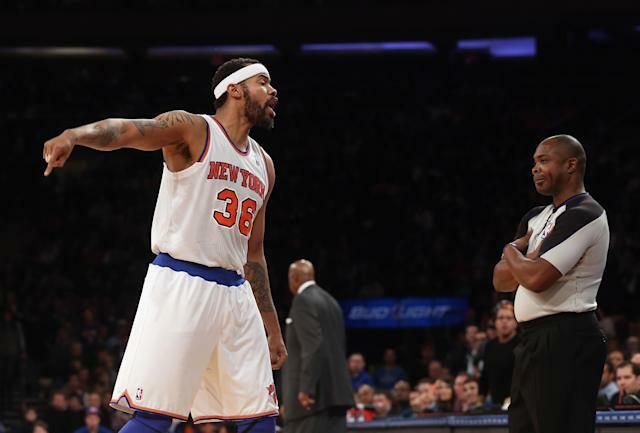 Rasheed Wallace has been a great many things in his basketball life — a high school player of the year, a second-team All-American, an NBA All-Star, an NBA champion, a key figure in the evolution of the way big men played at the highest level, a principled disputer of most (if not all) officiating decisions, a first-rate dancer and, of course, an endlessly quotable inspiration. Honestly, even if all the reportedly forthcoming Champions League winds up producing is a charity game or two in which 'Sheed does something like this once or twice while barking at younger dudes, it'd be worth the price of admission. After seeing a clip like the one Jennings shared, part of me wishes Rasheed would return to the ranks of NBA assistant coaches, just so he can once more bust up youngbloods in shooting contests on a day-to-day basis. The more I think about it, though, the more I'm at peace with 'Sheed existing on the periphery of our NBA lives. I wouldn't want to run the risk of getting bored with consistent random acts of delightful 'Sheed-based absurdity; it's just too wonderful to reconnect with him after a while away and see that he is still, at base, the same inimitable and indomitable figure. Rasheed Wallace always was too quizzical for the quotidian. Long may he remain that way, loudly getting buckets with both hands all the while.